Olfactory stimuli within the limbic system and the effect that certain odors and fragrances have on the physiology of man. The limbic system represents the hippocampus, fornic, cingulate gyrus, thalamus, mamillary bodies, amygdala and olfactory bulb, and although this might sound far too technical to be interesting, it is fascinating how the sense of smell actually happens and the effect it has on us all. Before the term "limbic system" was used, the system was referred to as the rhinencephalon or "smell brain" and is considered as one of the oldest systems in the human body. When a smell enters the nasal cavity, it meets up with over 50,000,000 receptor neurons which are located in the upper part of the nose and nasal septum, and the receptors are specialized in such a way that certain react to certain smells. These receptors then convert the presence of a smell into a message which is sent to the olfactory bulb (which is seen as part of the forebrain and its main sensory input) where the processing of the smell is started and is then passed onto other areas of the brain which control emotions, behavior as well as basic thought processes. Some distant memories, for instance from childhood, can only be recalled by smell, and this fact underscores the importance and significance of smell for our mental life and well-being. When measuring brainwaves by means of an EEG it has been noted that there was an increase of alpha waves when smelling lavender oil, which is assumed to be a relaxant fragrance. These test results did however vary when test subjects were in different states of arousal or relaxation. When using alerting odors, such as jasmine, an increase in brain activity was noted. Certain odors again reduced systolic blood pressure and reduced stress such as nutmeg, mace extract and valerian oil. During testing another interesting fact came to light - an odor need not be very strong to have an effect on the body. With electro-dermal activity (EDA) testing (where the electrical current between two points of the skin is measured) it was also found that slower currents occurred with relaxing odors such as bergamot and lavender. It must however be kept in mind that hedonics play a large part in interpreting the results of such tests. Hedonics is the personal degree of pleasantness that a person would place on a specific odor or smell. 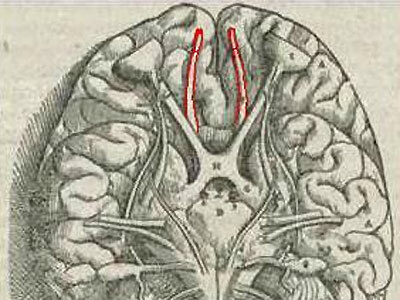 The limbic system is more than just a part of our smelling mechanism, it is an integral part of man in the wider context, and since it has a direct and indirect influence on so many of our body systems, including the regulation of the endocrine and visceral effect or mechanisms and the resultant patterns of behavior and motivation, it therefore implies that our sense of smell is more than simply a coping mechanism, but fulfils its own regulatory work as well. Although much scientific research has been done on how odors, and in particular the fragrances of essential oils, influence the physiology of the body, much is still unexplained and calls for further scientific investigation.